If you’ve spent any amount of time browsing through Instagram then you’ll have no doubt come across those Instagram Forex trader accounts. They’re typically ran by young guys or girls who all suspiciously seem to own (and showcase) an Audi R8 – and they all claim to have “easily” made millions through trading accounts online. But on top of just showcasing the lifestyle they’ve allegedly been able to achieve from Forex trading they apparently want to let you in on it too… And they claim that if you sign up their program they’ll show you how you can also make millions from online trading too. So the first question you have to ask is WHY is the account owner so desperate to “help you make money” that he/she is willing to pay for it? This guy, and the many other Instagram traders like him are literally saying that you can just copy their trades – so how does he and the others make money from that if you’re not actually paying him anything? 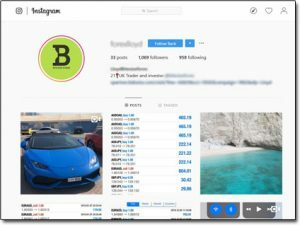 Well the truth is (as you’ll soon see) these so-called Instagram traders are not actually doing any trading at all – instead they’re just faking it to trick you into signing up for a borderline scam so that they can earn some money at your expense. And more often that not despite their profiles being jam-packed full of luxurious images many of these so-called millionaire traders are actually flat-out broke. That was recently proven when an article published in the Guardian revealed how one “millionaire” Instagram trader named Oyefeso who apparently owned multiple supercars found himself in court with the judge remarking “[you] portrayed yourself as a very successful trader within the financial market. Clearly this is not the case.” after he chose to run over a friend to whom he owed money instead of simply paying him back. You see these “traders” are essentially just affiliates of online brokerages like IQ Option & this means that these brokerages are basically paying them commissions for getting new people to sign up & deposit. But the problem here is that these “traders” are doing the whole affiliate thing illegitimately. First of all they’re not telling you that the way they actually make their money is by being an affiliate of the brokers and NOT by trading – so essentially they’re tricking you into signing up to the platform… And secondly what they’re not telling you is that most of the brokers these guys are affiliated with are borderline scams (some are even flat-out scams) and that you’ll be MUCH more likely to lose money than actually make it. You see the brokers these Instagram traders tend to affiliate themselves with are all often binary options brokers – and despite reviewing literally hundreds of different binary options brokers & systems I’ve never actually seen so much as ONE single person manage to generate sustainable profits from binary options. And out of the hundreds of brokers/systems I reviewed it’s safe to say that around 99% were flat-out scams designed to purely steal money & the other 1% were “borderline scams” that did indeed pay out, but had the odds of winning massively stacked against you. In fact the whole thing is so bad that the US decided to completely ban binary options trading – and due to it’s insanely high risks the UK had previously classified it as gambling rather than actual trading. The truth is that nothing comes easy with trading – and those that do indeed make money from it often spend their entire days glued to their PC checking the markets… It’s not an easy game at all, and it’s a game where everything can also be lost just as easily as it can be gained. Affiliate marketing (which is how these “traders” really make their money) is much more straight forward, there’s much less risk & it’s much easier to build up a sustainable source of income for the long term…. Therefore if done right affiliate marketing can be a MUCH better (and safer) way to make good money online – and if you’re interested in starting with it do be sure to check out the free platform Wealthy Affiliate where you can learn much more about it. But yeah, basically these Instagram traders are all young because the way they’re getting people to join their “scam” is by getting them to relate with them. What 18, 19, 20 year old etc doesn’t want success? Who at that age wouldn’t love to have a supercar or a house paid off? Most people of that age would love nothing more than an easy way to make a lot of money, and when they see an image in their Instagram newsfeed of somebody the same age as them who’s allegedly done it they immediately become curious & want to find out more. The next step they’ll likely take is to hit the follow button – they may be curious but at the same time they’ll still likely be sceptical… However once that follow button has been hit the account owner will often immediately send a direct message to the user trying to encourage them to get on board. Those are the types of things these Instagram traders tell their unsuspecting “victims” & when the curiosity of the user overpowers the scepticism that’s when the problem arises. They sign up to the broker the “trader” recommended, they deposit the £250 as they’re told & from there they’re left to find out the hard way that the whole trading thing wasn’t so easy after all. Sadly though even if they still have funds left within their trading account most of the brokers recommended by these so-called Instagram traders are flat-out scams & one way or another they’ll refuse the withdrawal request. Some, like IQ Option are “more legit” – but ultimately if you read my review on them you’ll see how the whole thing is dead set against you… And whilst they may pay-out, it doesn’t seem like anybody ever wins anything to actually get paid out! Regardless though the Instagram trader doesn’t care – he or she will simply block your account if you hit them up with any comeback because the second you made the deposit they already made their money from you. The broker will hand them a shockingly high commission for referring you (sometimes in excess of £200) & you’ll just be left to feel frustrated with no obvious way of getting your money back. Sometimes Though The Scam Can Be Much Worse! Losing £250 to an online scam sure as heck isn’t nice, but if you get caught out by the Instagram trading scam & manage to get away with only losing £250 then you might want to actually consider yourself pretty “lucky” as some people have ended up being scammed out of tens of thousands of pounds. Well upon depositing £250 to the brokers sometimes the broker will just see all your trades lose & have the scam over & done with – however other brokers can be much more cunning & can actually fake your profits to get you to deposit more. 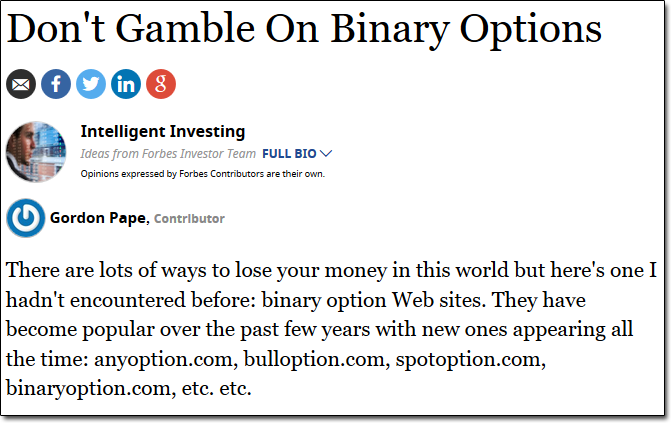 This one story I previously published of what a binary options scam did to a single mum showed that rather than trading as she thought she was, she was essentially just playing a video game via the broker. And it would be easy to get carried away with the deposits if you truly believe you are making so much money – but sadly when she came to make her withdrawal she was left to find out the hard way that she was not. The whole thing had been a lie & tens of thousands of pounds later she was only then left to discover that she had actually been scammed. So basically in short the brokers these Instagram Forex traders recommend are just set out to take as much cash from you as possible, and more often than not the Instagram traders themselves are set out to get you to deposit as much as possible because they are often paid higher bonuses based on how much you deposit. Ultimately it’s all bad news! Don’t Fall For The Instagram Trading Scam! 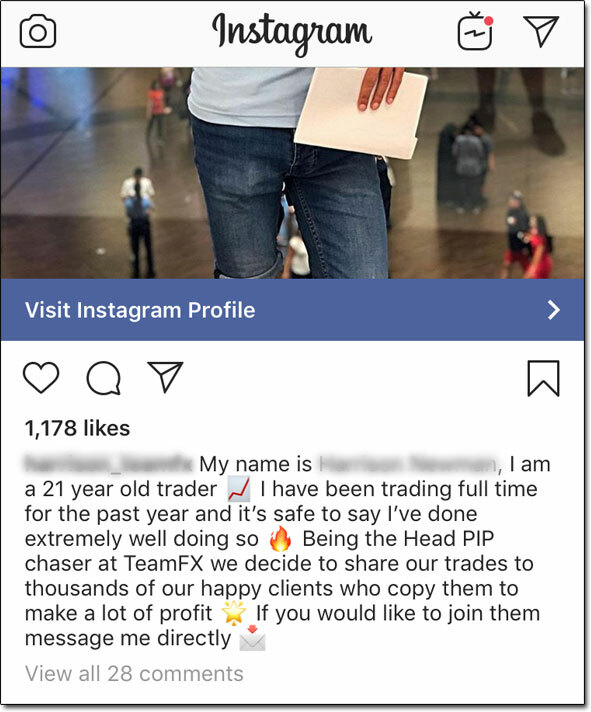 When it comes to this Forex trading scam on Instagram the saying “curiosity killed the cat” couldn’t be more relevant. That’s all these so-called “traders” are preying on – your curiosity, so they can trick you into depositing via a broker that’ll pay them a commission at your expense. I mean sure these guys are very good at making it look like they are genuinely making money from trading but ultimately with social media it is very easy to create an imaginary lifestyle & that’s all these guys are doing. So the next time you see a so-called millionaire trader on Instagram that wants to help you make money just give him (or her) a wide-berth & for any of your friends that get interested, just send them over to this post! And if you’re still looking for ways to earn good money online legitimately, then check out my top picks right here.